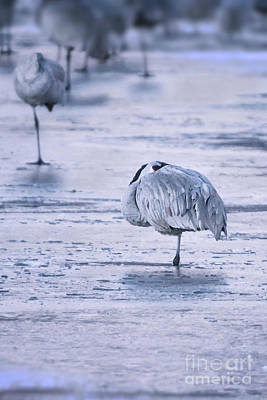 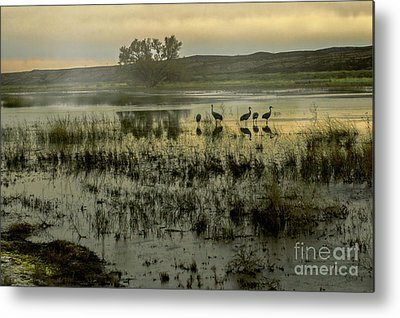 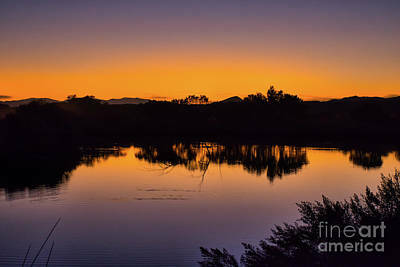 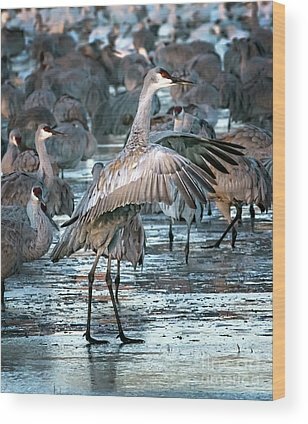 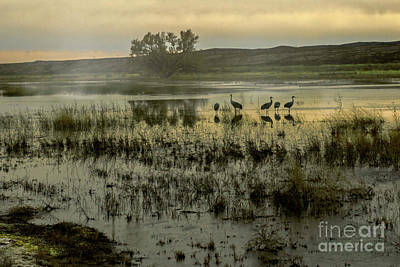 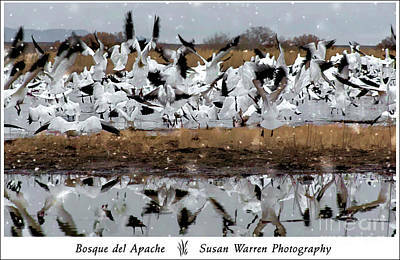 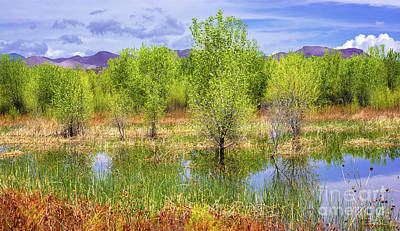 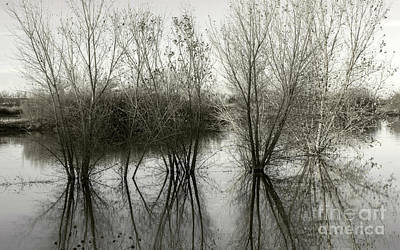 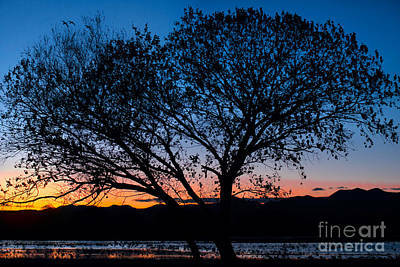 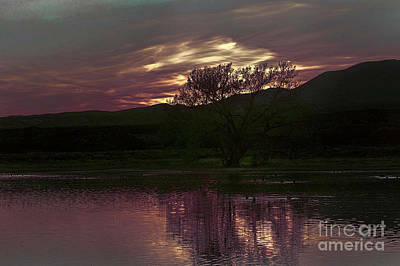 Bosque del Apache National Wildlife Refuge was established in 1939 to provide "a refuge and breeding ground for migratory birds and other wildlife" and to develop wintering grounds for greater sandhill cranes, which were then endangered. 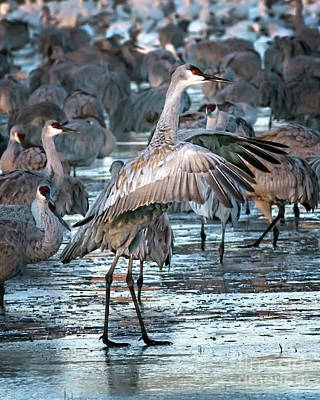 Each autumn, tens of thousands of birds - including sandhill cranes, Arctic geese and ducks - make the refuge their winter home. 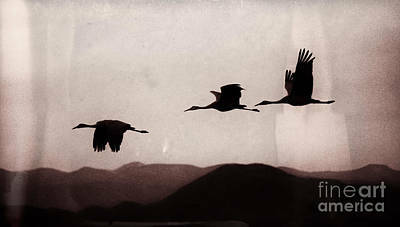 The air is filled with honking of geese and guttural call of cranes. 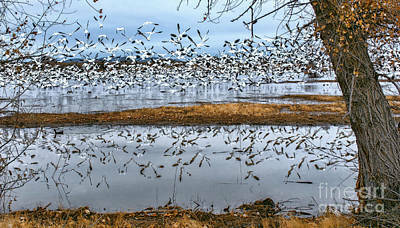 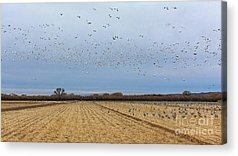 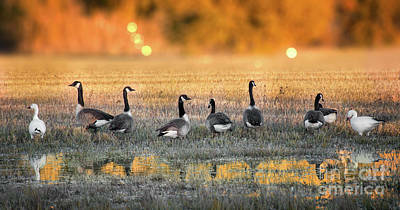 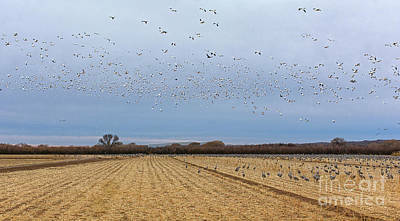 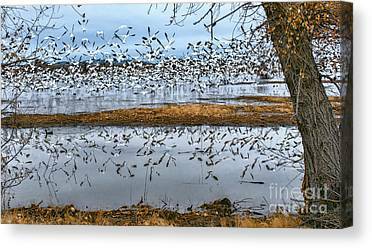 Flocks of snow geese abandon their feeding grounds when frightened by a stalking coyote or eagle. 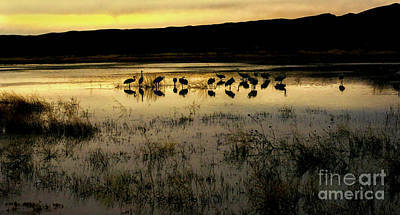 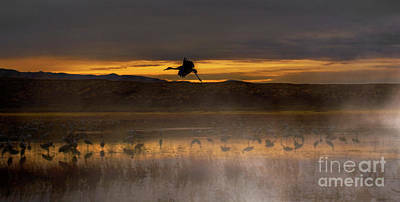 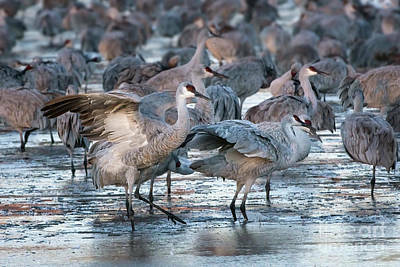 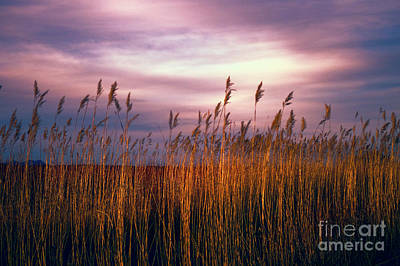 At dusk, flights of geese and cranes return to roost tin the marshes or on the Rio Grande.